A free HTML5 based content type allowing creatives to add hotspots to images. Hotspots may reveal texts, images and videos when clicked. All you need to create this content type is the H5P plugin for WordPress, Moodle or Drupal. Learn how to create Image hotspots in this tutorial. That is up to each content type. Most content types today are resizeable. Some, like drag the words, also changes its layout when used on small screens. On pc's the words you can drag are to the right. On mobiles the words are at the bottom. I've one requirement to create one micro site (HTML5) which will have index page and that page will have one site image having number of hotspots and associated text appeard as a popup. I found this image hotspot is meeting my requirement but how to use in HTML5 page not sure...Coudl you please help me here. Finally this micro site will integrate with share point so I need to be deliver HTML5 pages at the end. I would like to use h5p for world map with hotpots showing information about national representative (I have a lot). I made a test but the size of the pot is big for me. So is it possible to reduce the size of the hotspots? I want to use an image on a page with a hotspot that triggers a video. The h5p works perfectly with one issue. The background image is sized using the dimensions of the video, rather than being the default size of my image. Is there a way to get around that so the background and video can maintain their original sizes? Or should I perhaps use another content type? I'm sorry, I didn't understand that one. By clicking on raspberries on the top of the page here I see a video, but the video has a different size than the background image? Maybe you could provide a link? image on the page shows at about 150 x 150. When the user clicks the hotspot, the video opens at its native dimensions of 640 x 320. As it exists, when I create the object, it resizes my base image. Ok, so the video is bigger than the image hotspot originally is, and the image hotspot expands to give the video more room, is that it? Is it possible to have an image and a text in the same Hotspot? I saw the Hover text but I need to be sure that my participants are reading the text. Do you have any idea? Hello :) It isn't possible at the moment, but in the next version it will be! Is this new version available? My library has an interactive map http://library2.up.edu/floormap/floormap_mainfloor.html which lets people view images and text as they mouse over different areas. I noticed that H5P allows video, text, OR image to appear in the pop-up triggered by selecting a hotspot, and you have said that in the next version it will be possible to combine text and image. Is that next version available? Yes, you can now use videos as the pop-ups. Thanks for your reply, but I wasn't interested in videos as the pop-ups; I want to be able to combine images and text, e.g. a picture with a caption, and preferably with the ability to include hyperlinks in the caption. Is that possible? Looking forward to the next version of this hotspot image H5P element. Hoping it will include an image in the hotspot pop up. I would like to be able to customise the hotspot abit e.g. size, opacity and design. The ability to choose whether to have a tooltip on hover which displays the header. I know it isn't as useful for mobile but on desktop. When embeding a video the ability to configure the playbar to have fullscreen or not. I know this can be done on the h5p element its self so maybe this request is moot. These are just a couple of things we have thought of while using this. Thanks for your suggestions. You should add the feature requests to https://github.com/h5p/h5p-image-hotspots/issues. Thanks I will be sure to add them. Waiting for your answer, thank you for your work again! Currently, that is not supported. the current implementation will use as much space for the image as possible. Could I ask you why you need this functionality? E.g does the images get too small or too big? - Is it possible for the users to zoom at the image and ad hot-spots there? 1) Currently, only the author of the content may add hotspots. You should be able to create your own hotspots content without being an admin. 2) I see how this could be beneficial but currently, this isn't possible. Is it possible on the main image and displayed images to have a transparent background if I use a png? Hi, you could create an account and try here. I already have an account, but it still doesn't seem to have solved my problem!? Do I need to create a 'Transparent Image Background' account? Hi Michael, could you please explain how you would like the end result to look like and what results you are getting right now? If you could add a few screen shots, that would also be helpful. my website is not finished yet,so it's on coming soon page,but now i disable it for you to see that.i use enfold theme for my website,i tried this but it doesn't work for me. now what's your suggestion for me to fix it? This is a really out of scope for this forum, but I'll make an exception (since I'm such a nice guy :). 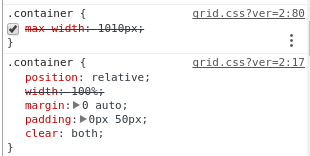 So: you will probably have to change or override the CSS on this page so .container uses 100% width and having padding:0 for left and right. I'm wondering if there is any way to alter the way the hotspots are interacted with? Looking to make it so that you can just hover over the hotspot to bring up the content, and to also change the icon that appears over the hotspots...is this at all possible? I've looked through the code but can't find anywhere to change things? The best way to get this done is to create a feature request, and give a suggestion for a future proof solution for adding in this feature. The next step would be figuring out how to change the logic to display the content on hover and create a pull request for this in its github repository. If you were only changing the css of the hotspot, that could be possible with a css hook, but changing the logic for displaying the content dialog would require some code changes. How can i remove "enable full screen" button from my image hotspot? I love this tool. Is there a way to change the font (in the library or...). Not an expert in H5P :-). I would try searching in the forums, I think there are some discussions there on the different ways you could do that. Is it possible to do a slideshow with hotspots? You may try to use Course Presentation with images or background images and add content as buttons on top of the images. instead of onclick, can I have it where when you mouseover, the text will show up?